The odds are that John took these photos, but I may possibly have taken one or more of them. It was a long time ago, too long to remember such details. From the driveway, looking north at the Catalina Mountains. The palo verde tree in the back yard. 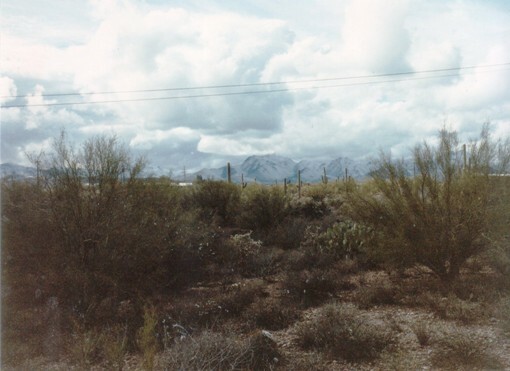 The back yard, looking west toward the Rincon Mountains. 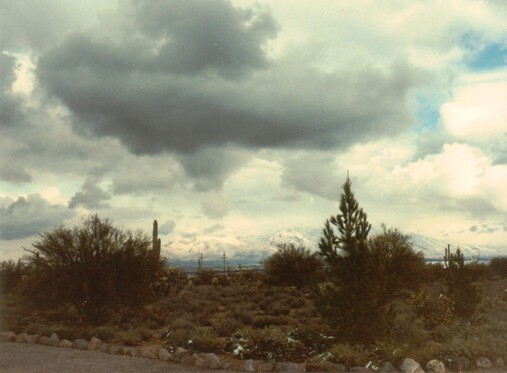 Tucson, of course, is known for its warm winters. That's the whole point of living here. Who would put up with 110 in the summer, if the climate didn't make up for such discomfort in the winter? It only snows here about once every two or three years. A snow that actually "sticks" to the ground is almost unheard-of. 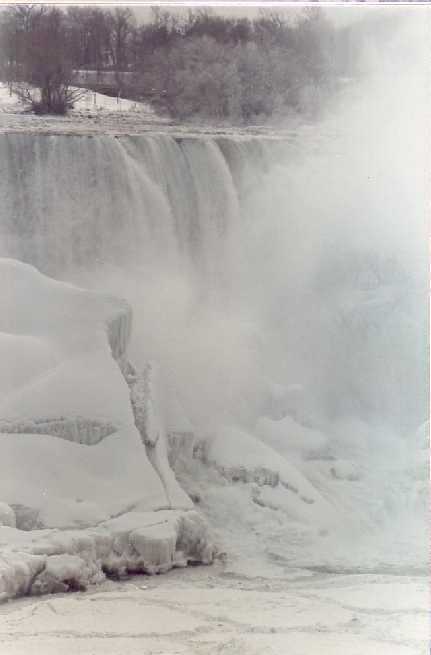 If you want real winter photos from a real winter climate, then look at this rerun photo of Niagara Falls, taken in 1986. This was definitely taken by John. Okay, you want photos that were definitely taken by me? Okay, but they're not as spectacular. This one I took on December 7th, 2004. The Catalinas are not as close as they look to this cheap resident hotel on 22nd Street. 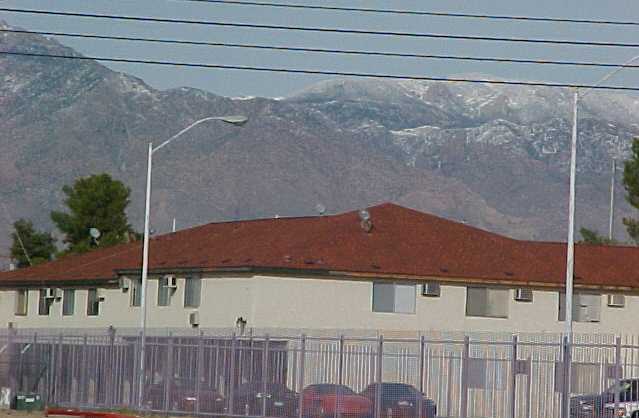 This is as close as Tucson usually gets to snow in winter. And, because I can't resist, here's another rerun, also taken by me. 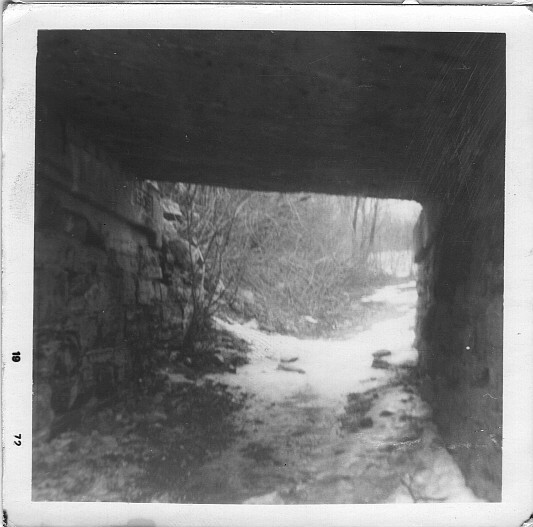 This is a crumbling, half-destroyed railroad bridge near Cherry Manor in Manlius, NY. 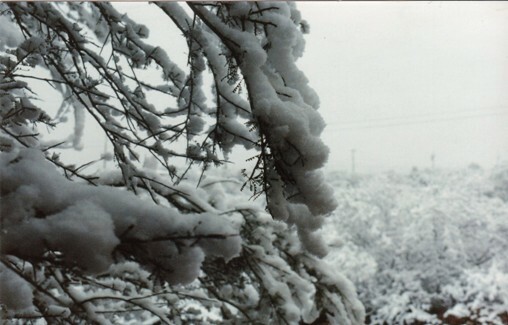 I took the photo in the winter of 1972. Yeah, that was real winter. *sigh* The Niagara photo has made me very wistful. I want to go back there for a visit. 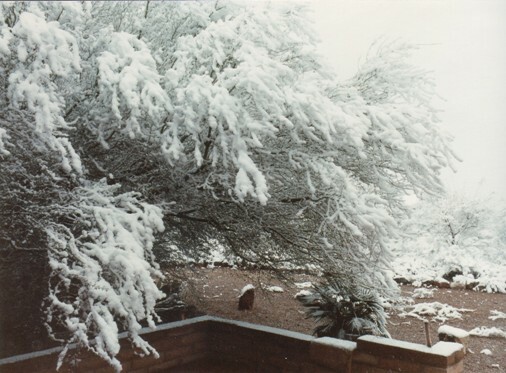 I can't imagine snow in Arizona! great photos of the big event!